Item2013.6.36.1.002.044 - Former service station in Pitt Meadows, B.C. Item2013.6.36.1.002.045 - City hall in Pitt Meadows, B.C. Item2013.6.36.1.002.046 - Water tower at a mill in Port Hammond, B.C. Item2013.6.36.1.002.049 - Corner building facing Stanley Park in Vancouver, B.C. Item2013.6.36.1.002.051 - Fire hall in Vancouver, B.C. Item2013.6.36.1.002.052 - Corner building facing Stanley Park in Vancouver, B.C. 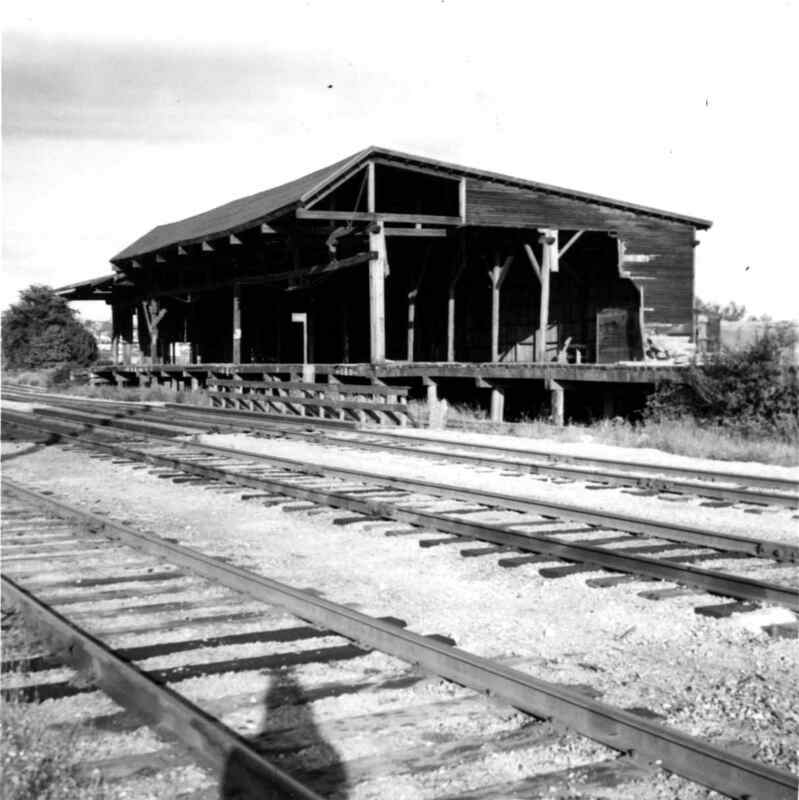 Photograph depicts a disused lumber storage and rail loading shed beside the Pacific Great Eastern, on the property of the Lions Gate Lumber Co. at the foot of Lloyd St. in North Vancouver.